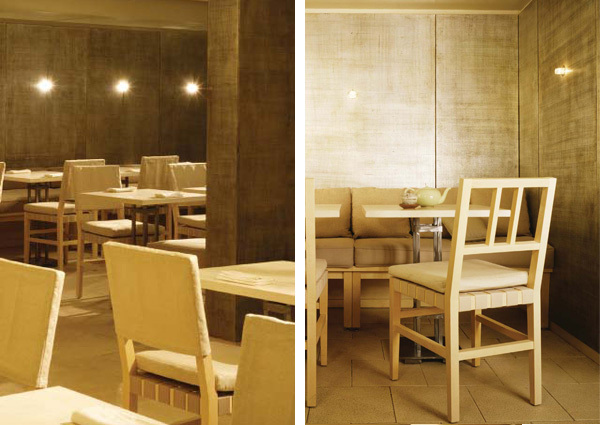 The Tea Box was a new restaurant complete with a kitchen, public bathrooms and retail space for Takashimaya, the acclaimed international department store, at their Fifth Avenue location. 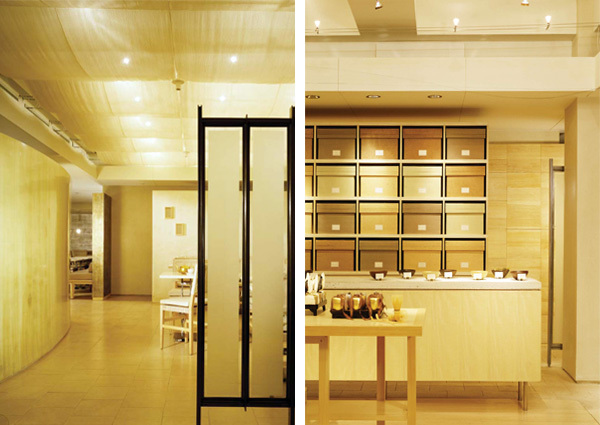 A 3,800 square foot space with low ceilings and no fenestration, The TeaBox was originally designated as a storage and mechanical area. These inherent difficulties were turned into assets by using the metaphor of a walled garden; ceilings of the perimeter areas were lowered to handle the mechanical requirements, contrasting dramatically with the centrally defined restaurant and retail space. The central space was organized by a series of elegant silk ceiling panels lit from behind to give the space both height and a sense of lightness. 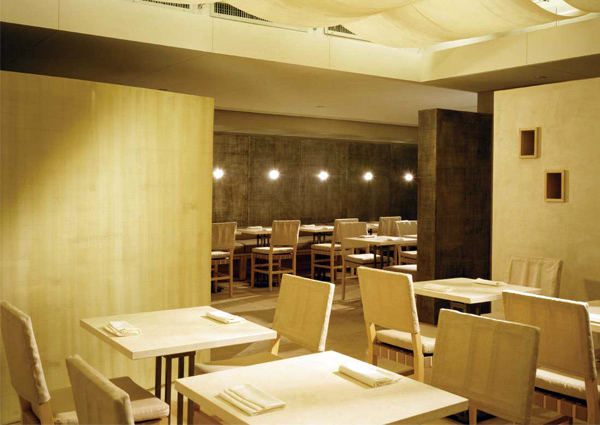 The restaurant and retail spaces were separated by low partitions that allow the space to feel as if it continues on indefinitely. These low walls were finished in different textures and colors that were subtly manipulated to alter the space's sense of depth and richness.